Once in a while, you have to find time to bond with your kids. You can go on a vacation together or have a day spent at a theme park. Aside from these options, you can also go camping. This last option can really make your kids excited, given that generally children love to explore and search for adventure. There are a good number of campsites that you may consider. Below is a guide on how to choose the best one. Step 1: Set a budget. The first thing that you have to do is to determine your budget. If you have money to spare, you can consider distant caravan parks and camping grounds. But if you are on budget, your backyard could be quite an enjoyable place as well. You can also find nearby parks and campsites where you can camp for free. Step 2: Ask for your kids’ opinion. You plan a camping activity for the enjoyment of your kids. This is why you have to ask them where they want to camp. If they don’t have specific places in mind, you can offer them a list of the campsites you are considering and let them pick. As much as possible, include educational places in the list so your kids can learn a lot. This is a very important part, especially if you are planning to camp on a distant park. You should research about the things that you can or cannot bring to the campsite. It is also important that you read comments about the security of the place you have chosen before you make a final decision to go. After you have chosen a site, you have to procure a map of the camp location so you can familiarize yourself and also your kids about the places to explore. You then have to prepare the things that you should bring with you such as your tent, bedding, kitchen utensils, and other stuff necessary for camping. Virginia Vacation Destinations – Top vacation destinations in Virginia. A camping site should be surrounded with trees and forests to give off the feeling that you are actually camping but it must also be close to a local ranger’s post just in case of emergencies, and safe enough for your children to run around in and play. It is quite tiring to find a good camping spot/site, especially at times like now that forests are being depleted by the minute. Forcing animals and other creatures to fight for their territory and be more exposed to human encounters which may lead to disastrous results, especially with territorial creatures such as wolves, dogs and bears. It is very hard to invite children these days to camp out in the woods or go hiking with all the modern gadgets today. 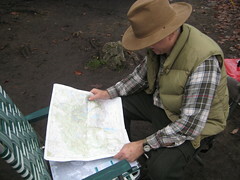 But you can entice them to enjoy camping by hosting simple treasure hunts. Of course, this will compel you to try out the course yourself first to ensure safety for the little kids and also for you to set the hints and clues for your treasure map. It will be best if the location of the unknown treasure will be in a falls or a mountain for the children to appreciate nature more.